For 35 years the NYPD's 94th Precinct has been hosting National Night Out in Greenpoint. Over the last seven years Broadway Stages has supported this community event. 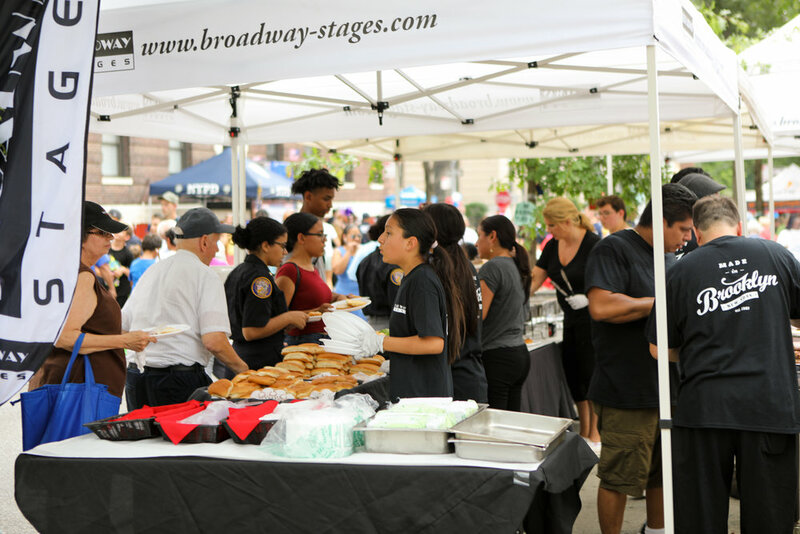 This year Broadway Stages provided all of the entertainment, activities and food including Van Leeuwen Artisan Ice Cream, a rock-climbing wall, spin and sand art, games, and music. “We believe that it is important to honor the hardworking and brave men and women who serve and protect us every day,” said Gina Argento, CEO of Broadway Stages, “especially our local precinct in Greenpoint.” Argento said it’s a great feeling to watch residents engage with the men and women of the 94th Precinct to introduce themselves and thank them for their service. For the full article by Mark Garzon with the Queens Ledger click here.